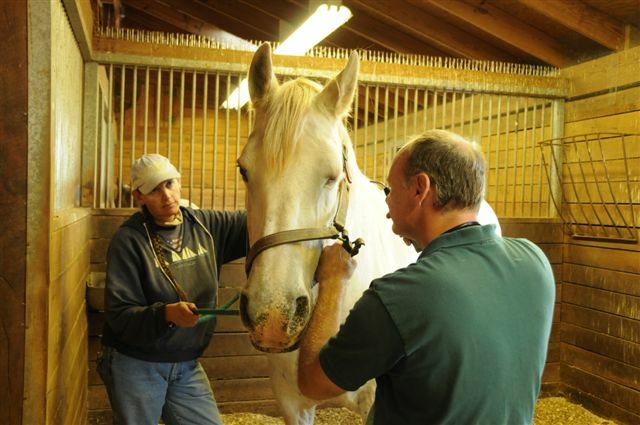 Blue Mountain Equine is dedicated to providing high quality, comprehensive, affordable, medical and surgical care to horses throughout the Central Virginia area. Located in Madison County,our practice serves Madison, Orange, Culpeper, Greene, Rappahanock, parts of Fauquier, and parts of Spotsylvania counties. The clinic has a staff of veterinarians and support personnel that is available 24-hours a day to handle emergency and routine cases. Whether your horse is a national competitor, a brood mare, a racehorse, trailhorse, or a pet, it will receive the best medical attention our veterinarians and staff can provide. Click on this link for an article written about our Veterinarian, Chris Robertson.